More than 1700 Australian parents responded to the CareforKids.com.au 6th Annual Child Care and Workforce Participation Survey which seeks to examine the health of our child care system. Unsurprisingly the increasing cost of child care is a big issue for parents. 25 per cent of parents pay between $200 and $300 per week in child care (before benefit/rebate) and 40 per cent are paying more than $300 (compared to 32 per cent last year). More than 50 per cent of parents say they would like child care to be less expensive. While 69 per cent of parents say their child care facilities are excellent with great carers and facilities, 28 per cent say they are "ok" or "average" and 2 per cent of parents thought their child care service was poor. The vast majority of parents believe their children love their child care service, using examples such as: children talk about the teachers (30 per cent), seem happy to go to child care (54 per cent), have lots of stories about their day and sleep, eat and play well in care (66 per cent). More than 68 per cent of parents believe that child care workers are underpaid and undervalued. Parents also believe that qualified child care professionals should receive the same pay as teachers in the other areas of education. Parents also believe that high staff turnover and shift workers are detrimental to their children's care and agree with the Government's new staff ratios. Parents also thought that with better pay and more qualified staff, the standard of child care would improve and carers would be happier and more likely to stay within their child care centre/profession, limiting the need for unqualified part time staff. Around 26 per cent of parents believe child care facilities should be not-for-profit while 60 per cent don't mind either way as long as they are receiving high quality care. 76 per cent of parents believe they should not have to pay child care fees for days when services are closed on public holidays, claiming that this cost should be absorbed by a child care service by slightly increasing daily fees to cover the costs of paying staff on public holidays. Go to CareforKids.com/social to share your views. A proposal to means test the 50 per cent child care rebate in this year's Budget has been axed by Treasurer Wayne Swan. Government sources confirmed that a Treasury wish list of Budget cuts included means testing the child care rebate, which is currently 50 per cent of child care costs up to $7,500 per child per year, for families earning over $150,000. A Daily Telegraph source confirmed the proposal was put to a meeting of the expenditure review committee in a "rule in rule out" session of proposed savings to be ticked off between key ministers and Treasury officials, ahead of the May 10 budget. The Shadow Minister for Child Care Ms Sussan Ley called on the Government to remove child care from the pre-Budget 'merry-go-round' completely. "Parents must be waking with night sweats wondering what will next come out of Minister Kate Ellis" mouth. In a single 24 hour period, while still promising 'affordable childcare', it has been revealed Ms Ellis has; plans to withhold $1,000 a year under new fortnightly childcare rebate changes and failed to rule out means testing the rebate, potentially taking thousands of dollars out of working family budgets from July 1," she said. Employer groups also expressed concern at the Governments plans to change the child care rebate, claiming it would make child care less affordable for families and potentially reduce the number of women in the workforce. Australian Chamber of Commerce and Industry chief Peter Anderson told The Australian that "particular care is required on childcare". "The criteria we would apply is whether the means test has the effect of reducing the net overall participation of women in the workforce, and if it were to do that, we would oppose it," he said. Government sources told The Daily Telegraph that the decision to not go ahead with means testing the 50 per cent child care rebate was based on policy not politics. Mr Swan is reported to have argued that axing the rebate would kill the Government's long-term plans to boost workforce participation, despite the measure also being potential political dynamite for the Government. How would means testing the child care rebate affect the child care industry? Go to CareforKids.com.au/Social to share your views. After a week of headlines claiming child care services will be fined for decorating Christmas trees and holding Easter egg hunts the Minister for Child Care, Ms Kate Ellis has attempted to set the record straight by more clearly defining the impact of draft child care regulations. According to Ms Ellis the draft regulations which were endorsed by federal, state and territory Governments in February this year, and which are due to take effect from 1 January 2012, do not ban any cultural activities. "Easter egg hunts and Christmas tree decorating will go ahead as usual. All these regulations do is make sure that child care staff, just like teachers in government schools, ensure that children are not made to feel uncomfortable because they are forced to participate in cultural traditions that are not their own," she said. Ms Ellis said reports that use of the naughty corner was banned and that child care workers could be fined up to $50,000 for using the naughty corner as a form of discipline were both ridiculous and wrong. "We know that it is child care workers, and not bureaucrats in Canberra, who are best placed to determine what activities - including what kind of discipline - work best for the children in their care. When we hear reports of babies having their feet tied together with bed sheets – then it is quite right for governments to step in and make clear that some forms of discipline are inappropriate and potentially harmful to young children. These draft regulations will protect children from inappropriate forms of punishment but still give child care workers the scope and flexibility they need to use their own professional judgement and commonsense," she said. Take our Mini Poll to tell us what you think about the Government's draft regulations? Between Public Liability and Professional Indemnity? It's easy to be confused about the difference between Public Liability Insurance and Professional Indemnity Insurance as both can cover claims for Personal Injury and Property Damage. The difference is what triggers the claim, and the following information should help to clarify this for you. Imagine if a baby fell off the change table because the carer was distracted by another child, and suffers a permanent head injury. The amount of this claim could be for millions of dollars as the child would need to be compensated for the permanent effect such an injury will have on the rest of their life. To be a successful claim, the service must be held legally liable. To be held legally liable, the service must have been negligent ie the service did something or did not do something that caused or contributed to the Injury or Property Damage. 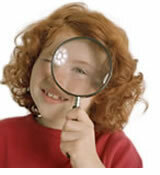 In the example above, the service could be found negligent on the basis of inadequate supervision. Without Public Liability Insurance, the childcare service would be left to pay the claim out of their own pocket. Professional Indemnity will cover you if someone sues you because they have suffered Personal Injury, Property Damage or Financial Loss as a result of your professional advice. To be considered professional advice you must be paid to provide expert advice that a person associated with your service relies on to do something or not do something and suffers Personal Injury and/or Property Damage and/or Financial Loss as a result. Many child care service providers offer regular parent/carer conferences as a way of staying in touch with parents and to keep them updated on their child's progress in the service. Parent/carer conferences need to be handled carefully as many parents worry how well their children are doing and may take comments about their child's progress to heart. Be on time – keeping a parent waiting may make him/her anxious. Try to set a positive and supportive tone for the conference. Always begin with some positives about the child. Ask the parent to tell you at the beginning of the conference, if she/he has any special concerns; then incorporate your answers into the conference. While timetabling your conferences make sure you set aside enough time to avoid rushing parents through. If one parent is monopolising the time you have scheduled for other parents, make a second appointment with that parent rather than keeping everyone else waiting. Try very hard not to let your personal biases intrude into the conference – whether it's with a child you adore or a child you clash with frequently. Always try to assess your role in any behaviour problems. Parents respond better when they are treated as partners in solving an issue rather than when they are given both the diagnosis and cure by the expert. 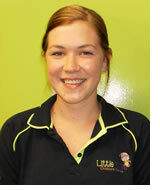 In this month's Child Care People we speak to Amie Appleby, who works at Little Elves Child Care in Bargo NSW. Winter is fast approaching and with the colder weather comes a higher incidence of colds. In some children these colds can lead to painful ear infections. Cold symptoms – ear infections are almost always preceded by a cold. 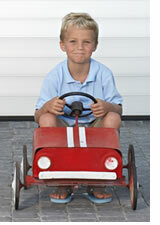 Often a clear runny nose will turn yellow or green before an ear infection sets in. Children may display two or more of these symptoms. 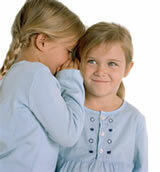 Ear infections are not contagious however the colds that cause them are. Therefore anything that can reduce the spread of germs is likely to reduce the incidence of ear infections. With Mother's Day coming up on Sunday 8 May it's a great time to start some new craft projects. Most mums love receiving homemade gifts and the list below offers a range of ideas suitable for all ages. Mother's Day Muffin Flower Card a lovely card which is a suitable project for kids of all ages. Hand Print Card with Poem - depending on the age of the children you have working on this idea you may need to write/print the poem, then have the children decorate the card with their handprints. Hand Print Tulips - a super easy and super fun project which is suitable for the youngest kids. You Are My Sunshine - this special project uses a photo of the kids to make a fridge magnet all mums will love to keep. Coffee Filter Flowers - a flower for mum made from simple everyday items. Mother's Day Flower Pot Wall Hanging - a more complicated project that the older kids will enjoy. Scissor Snip Flowers - another flower themed idea that works well for younger kids. Decorated Flower Pots - a lovely craft project that can be combined as a garden project for mum by the addition of seeds and soil. These craft ideas were sourced from enchantedlearning.com, dltk-holidays.com and allfreecrafts.com. 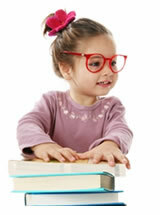 Child care survey - Do these findings surprise you? Hello and welcome to the May edition of Child Care News. The results of the CareforKids.com.au 6th Annual Child Care and Workforce Participation Survey are in and offer some interesting findings for the child care sector. This year over 1700 Australian parents offered their opinions about the health of Australia's child care industry. The Government's draft child care regulations kicked up a huge media storm last month with some papers claiming child care services would not be able to hold Easter egg hunts or decorate Christmas trees. Read the real story in this month's newsletter and let us know your thoughts in our super quick Mini Poll. With Mother's Day coming up quickly we have some easy craft ideas which we hope will inspire the kids in your service to celebrate and commemorate their mums! We've also got the lowdown on ear infections and some easy ways you can prevent the spread of germs which cause ear infections. I am also proud to introduce you to Amie Appleby an 18 year old child care worker from Little Elves Child Care in Bargo who says the highlight of working in this industry is having the opportunity to watch children learn and grow. You can read Amie's whole story in this month's issue and remember if you know a shining star who deserves to be profiled in the newsletter please drop me a line. Occasional Child Care Director - Fantastic Opportunity!